The photos of Nigerian-born photographer Osaretin Ugiagbe document the beauty and sorrows witnessed during a life split between the surging Bronx streets and the half-built flyovers of Lagos, Nigeria (population 20 million strong and growing). In 2002, the then 16-year-old Ugiagbe left Nigeria for the Bronx, joining his father who had already emigrated to the US. Fifteen years later, he maintains an identity firmly planted in both worlds. His artistic path has often been shaped by chance events and encounters. 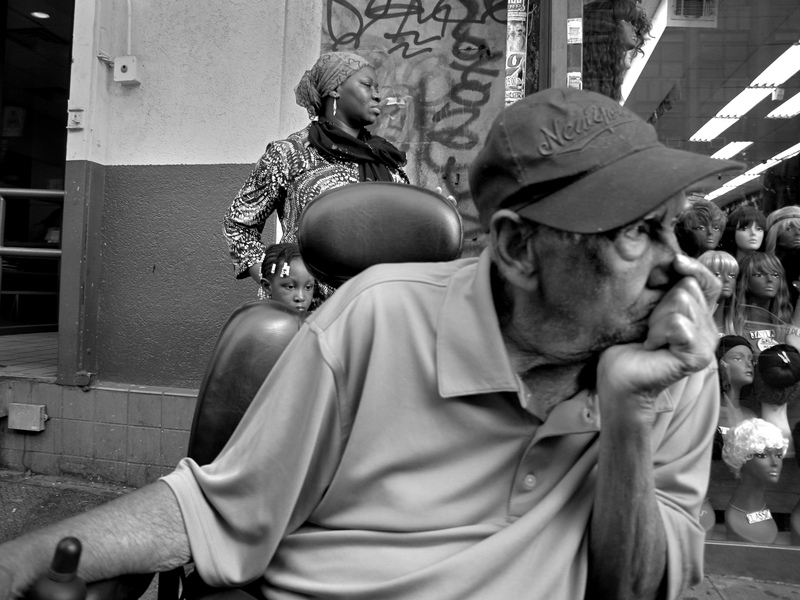 While working in a Bronx hospital several years ago, he discovered a free photo class at the nearby Bronx Documentary Center, and soon became a member of their Bronx Photo League. After taking a required art class at Hostos Community College, Ugiagbe took up painting as well, developing into an accomplished painter--he was recently accepted at London’s Royal College of Art. 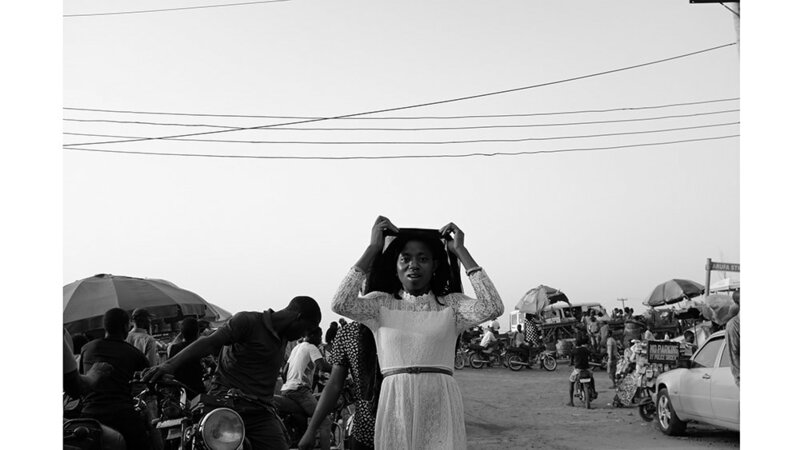 In his black and white photos, many taken without looking through the camera, he reacts to light and shadow, to the faces and bodies around him, both in the Bronx and in trips back to Nigeria. South Bronx, New York, 2013. He crafts his images through the inventive use of light, focusing on poignant and compelling themes of displacement and dislocation, and a surging, scrambling humanity looking for something better. Or sometimes just looking. The exhibited photos express Ugiagbe's individual path, but also reflect the larger framework of the struggle for cultural identity--unbelonging in the place left, not belonging at the point of arrival. A number of his paintings, which have strongly influenced (and been influenced by) his photographic work, will also be on display.